I am not very good at anything DIY, but I would love to attempt making this striped ottoman. OR, one of you could attempt making it and give it to me as a present. The gorgeous Jillian Harris posted about the 80/20 eating philosophy on her blog recently. What are your thoughts? Do you think it's really that easy? I have been very inspired to style for summer lately but unfortunately I think my budget will have something to say about everything I'm loving. A girl can dream though, right? What's inspiring you right now? You can find out a little more about what I'm loving these days over on Preppy Love. Spoiler alert, it's nautical. I will be visiting this lovely lady in a few days. Do you have any questions about the Clarisonic Mia 2 that you'd like me to answer on my vlog this weekend? I love nautical in the summer too. Have a great weekend! 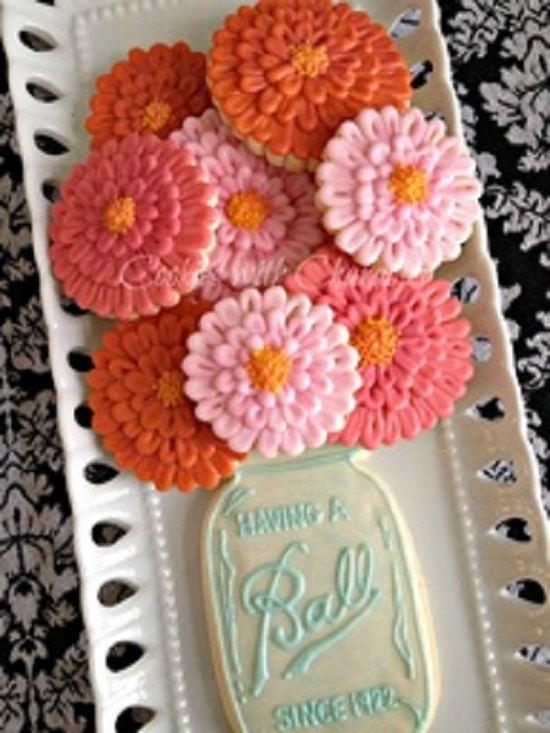 lovely picture, the cookies look so pretty. if you already have an ottoman, I don't think it would be that hard. You can use a hot glue gun, or fabric glue. I love at home diy's, I just wish i had more time to actually do some.